Sirtex is doing research to develop and commercialise effective treatments for liver cancer using novel small particle technology. They have developed an innovative means of treating liver cancer in cases where it is not possible to surgically remove the liver tumours. Their product can be used to deliver targeted, internal irradiation therapy directly to the tumour where it remains, having its impact only on the affected organ. This new therapy is called Selective Internal Radiation Therapy also know as SIRT. Nano-beads loaded with a radioactive isotope can be studied in detail and tracked using cryo-scanning electron microscopy, thereby providing important information to the researchers. 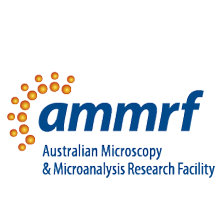 Sirtex has worked with the Australian National University node of the AMMRF to improve delivery of SIRT through the application of nano-particulate technology.